Budapest, Franz-Joseph Bridge / Photochr. 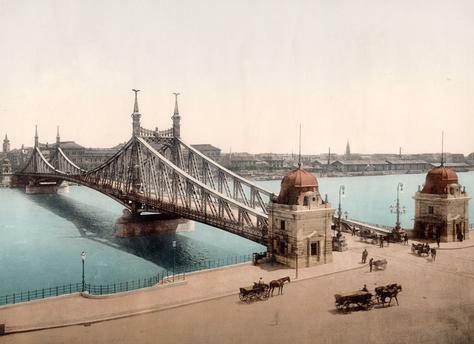 (Bridge over the Danube between the Custom House Square and the Bocksbad; opened in 1896; Arch. : Feketehazy).